Look at the biggest commercial real estate deals across the country. The odds are high that investors from overseas purchased these key office towers, retail centers or apartment projects. And the importance of foreign capital to the U.S. commercial real estate market is only increasing. 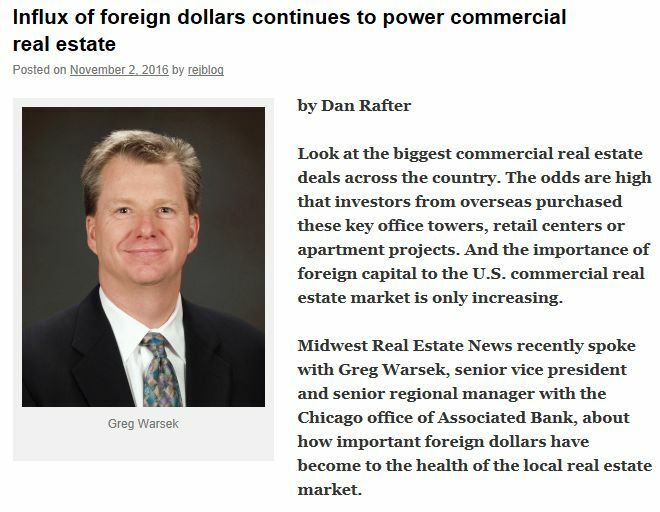 Midwest Real Estate News recently spoke with Greg Warsek, senior vice president and senior regional manager in Chicago, about how important foreign dollars have become to the health of the local real estate market.